Gian Lorenzo Bernini (1598-1680) was a major, highly influential sculptor of the Baroque. His most famous work was involved with the Vatican as his patrons were rich and powerful members of the Roman Catholic Church. 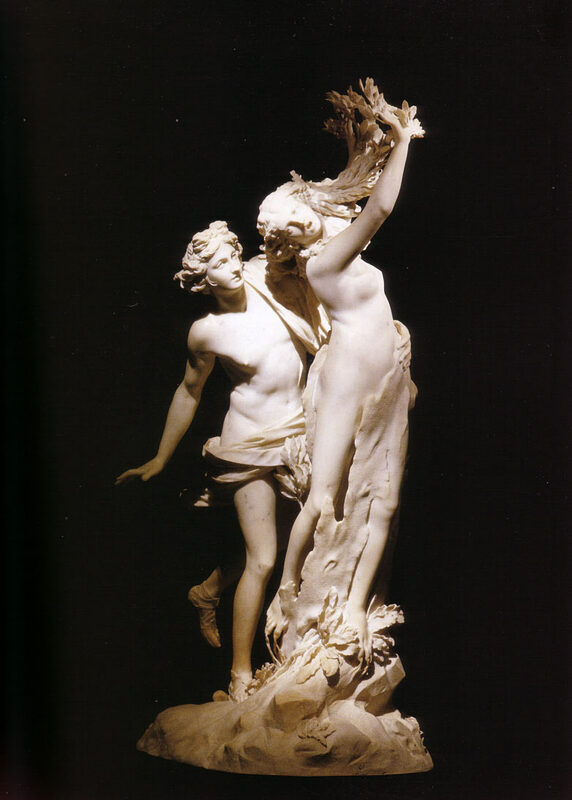 The passionate sculpture above tells the tale of Apollo and Daphne of Greek mythology. Daphne was a nymph who did not return Apollo’s (the Sun God) love and she called upon her father to help her escape her unwanted suitor. She turned into a laurel tree, brilliantly depicted by Bernini in the leaves where Daphne’s hands should be.